We live in a world of seven billion people. Seven billion unique minds tread seven billion paths of life. 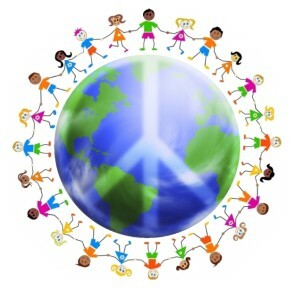 Each person, using a unique talent, can contribute to the seven billion paths to peace. In our isolation, however, we do not always recognize these paths for what they are. At these times it takes a spark of inspiration and some encouragement to push us forward onto our own unique course. Global Ambassadors Interact, in partnership with the Shinnyo-en Foundation, strives to provide people with the spark that helps to pave the way. 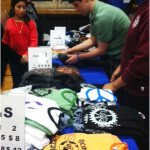 Global Ambassadors is active in the White Plains community at the middle and high schools. The middle school students are currently undertaking a project that falls under the path of charity: serving worried parents and families at the Ronald McDonald House in Valhalla, New York. The mission of The Ronald McDonald House of the Greater Hudson Valley is to provide a temporary home-away-from-home for families with critically ill or traumatically injured children. Throughout the Spring, 34 Ambassadors traveled to Ronald McDonald house in small groups and cooked delicious and nutritious meals for these families. This program coincides with other projects, including a holiday toy drive. 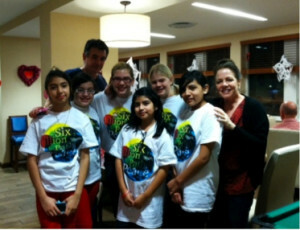 Students brightened the holiday season for needy children by wrapping and giving over 100 toys. On February 6th, 2013, the Ambassadors partnered with our foreign language teachers to help host the annual International Dinner. The goal of the International Dinner is to give students and families a chance to share their unique cultures through food. Afterward, a talent show celebrates the diversity of the school community and the many ways we are interconnected across the globe. The high school division of Global Ambassadors designed, printed and sold unique t-shirts and sweatshirts with peace symbols and themes for the benefit of FAIS (The Foundation for the Advancement of International Studies), and a definite favorite this year was the inflated 20-foot earth balloon! Inside the balloon participants took guided tours that focused on geography and environmental change; this put the world and our fundamental connection to it into perspective. The high school Ambassadors have also been producing a television series called REACT News. We wish to inform the people around us of social and political problems as they develop here at home and across the world. While informing the community, we emphasize individual action as a response to these issues. We are devoted to this program as our path to peace. Topics include genocide in various parts of the world; jobs, energy and fracking; the stress of the college application process; music as a way to inspire; and animal adoption. 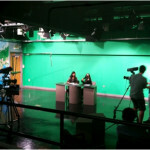 Video spots are recorded at Eastview Middle School and in the TV studio on the White Plains High School campus. Another path to peace is to create. Art is one of the greatest tools of unification and inspiration. We have sold our uniquely designed and printed t-shirts and sweatshirts to benefit victims of Hurricane Sandy and help all students to have an experience of study in countries abroad. We have also worked hand in hand with the foundations called Students Rebuild, Do Something, and Architects for Humanity. Paper Cranes for Japan and One Million Bones are two initiatives that have provided a way for students and adults to contribute to global causes easily. 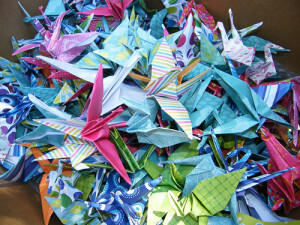 In one, students created a total of 1,300 origami paper cranes for a global collection; in response, the sponsoring foundations gave money for the rehabilitation of earthquake victims in Japan. This year, students have created replicas of bones from papier-mâché and clay, and sent them to Washington, DC, where they have become part of a worldwide collection. In response, the sponsor foundations have pledged to contribute money to aid genocide victims in Somalia and the Congo. The bones are symbolic of the lives lost in those countries. Through something as simple as folding a paper crane or making a bone out of papier-mâché, students are making a difference. An important change occurs when many people join each other, focus on an injustice, and put their hearts and minds into providing aid to those who have been hurt. 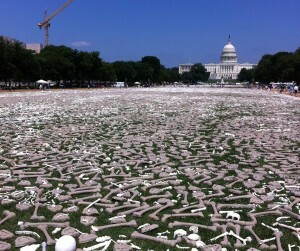 From June 8th to 10th, I was honored to represent the White Plains Ambassadors at our country’s capitol, and helped to create this million bone installation for peace. People from around the U.S. and around world came together to stand up for human rights and an end to genocide. In October and November, the Global Ambassadors met with Shinnyo-en representatives to discuss common goals and opportunities to collaborate. By bringing all of our paths together, we are able to do things we would not be able to do alone. We are able to aid, inform, create and inspire. Together, we are stronger and together, we can change the world, one path at a time.